The NBA deadline for trades is fast approaching, especially for teams like the Mavericks who are trying to set their team up for a playoff appearance. Dallas still has what it takes to claim the 8th spot in this year’s playoffs, but they could use some help. After dealing with injuries to Bogut, Barea, and Williams, this Dallas team is still trying to put together a team that can work well together and who can overcome the gap with Denver, Portland and others. The Mavericks’ best bet to do this will be to get a wing defender or front court player who is able to score underneath and lock up on defense. The breakout performances from Seth Curry and Yogi Ferrell have provided Dallas with a young, talented backcourt, and Dirk’s ability to rewind the clock a couple of years to his vintage play has put the Mavericks in a very intriguing spot. A veteran wing player coming in for the Mavericks would take some of the pressure off of Curry and Ferrell. Also, it would allow Matthews and Barnes to open up more and not have so much weight on their shoulders. I have compiled a (very) short list of players that I think the Mavericks organization should look at to help the Mavericks prepare for a run at the postseason, and I think any of these guys in a Dallas uniform could bring an immediate impact to the Big D.
Kenneth Faried, aka The Manimal, would be a perfect combination of aggression and athleticism for the Mavericks on both ends of the floor. 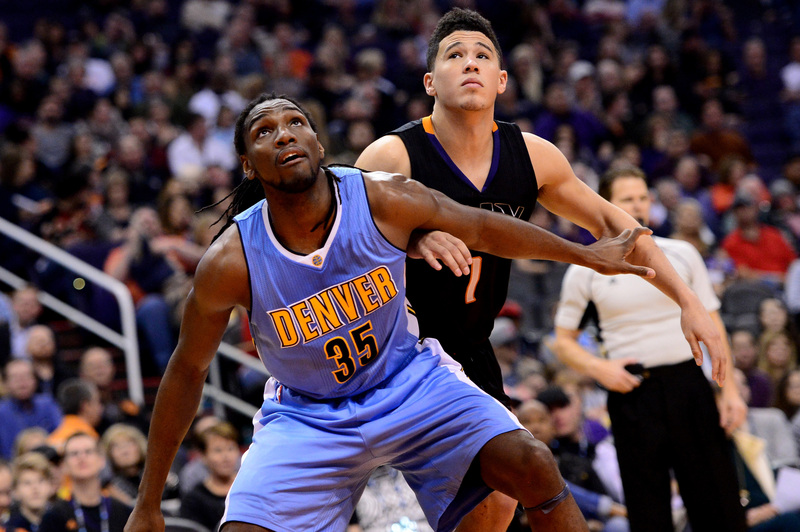 The former Morehead State Eagle has been fighting for minutes in Denver with Jusuf Nurkic and Nikola Jokic. His ability to play defense in the paint and on the perimeter will provide a great deal of help for Dallas, along with his ability to catch the ball on the wing and take it to the basket without hesitation. This is another very appealing idea for the Mavericks. 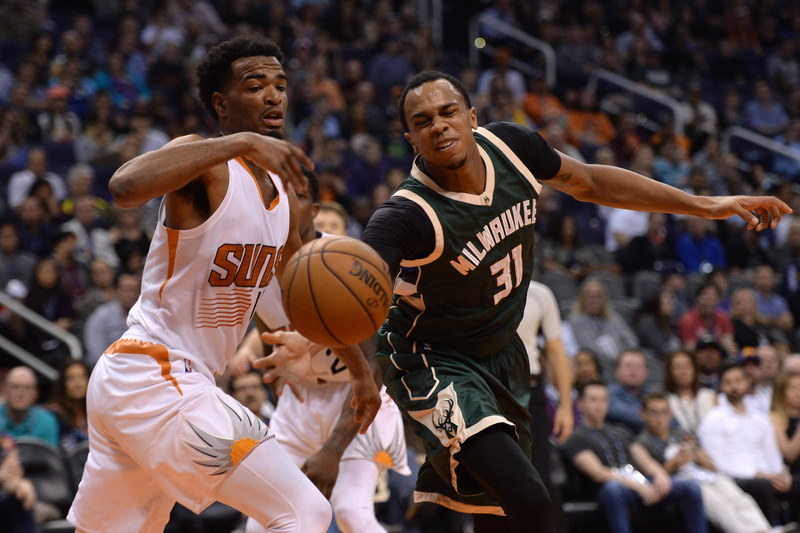 Henson’s numbers are due to a very limited role on his current team, along with the fact that the 6-11 forward has been playing center for the Bucks the past 3 seasons. The last time Henson was in his natural position of power forward, he averaged 11.1 points, 7.1 rebounds, and 1.7 blocks per game. Henson would be able to come in and take some pressure off of Dirk, HB, and Salah as they have been scrambling to guard teams that oversize the Mavericks. Muck like Faried, Henson plays very hard and has a motor that will go all 48 minutes if you need it to. With the recent injury to Jabari Parker, the Bucks could be very open to any trade possibilities the Mavericks sent their way. 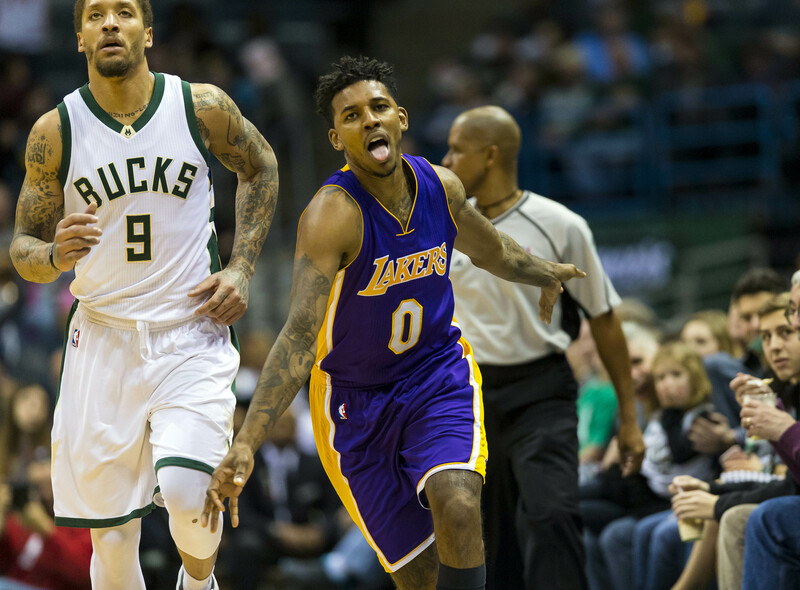 Since the departure of Kobe, Swaggy P has shown that he can pull his own weight in this league. He has started all 48 games he has played in this year with the Lakers and would be a great asset for Dallas to acquire. If Dallas wasn’t lethal enough from long-range, Young would just add insult to injury for opponents defensive strategy. 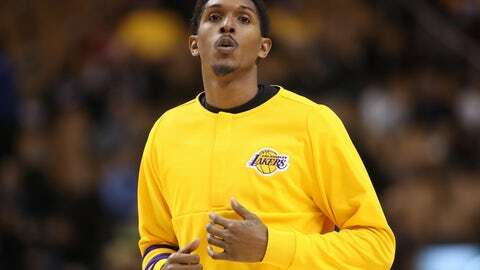 In his third year with the Lakers, Uncle P has noticeably stepped his game up on the defensive side of the basketball. 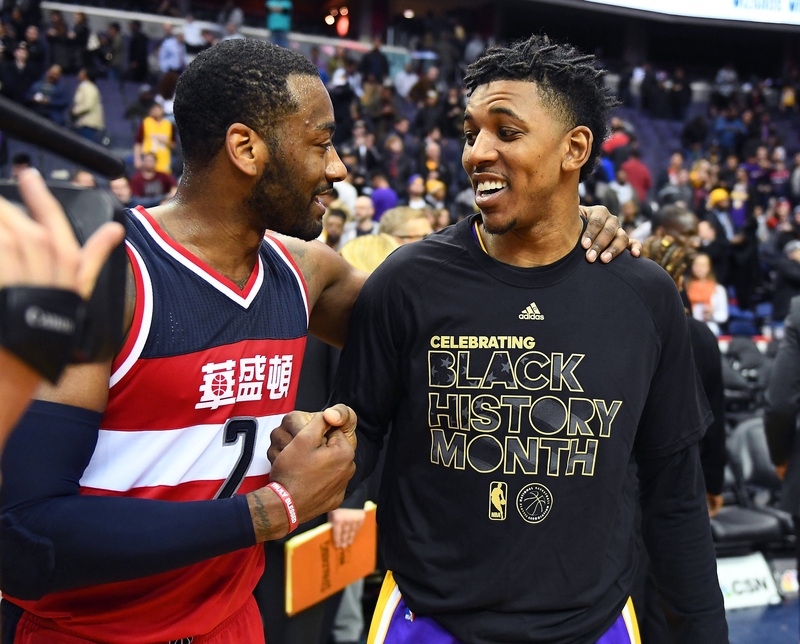 Coach Luke Walton has matched up Young with the best player on the opposing almost every time he is on the court and he has been keeping up with them. He is a strong competitor, a great locker room guy, and would be fully embraced by the MFFLs. Lou Williams is my favorite option for the Mavericks this deadline season. 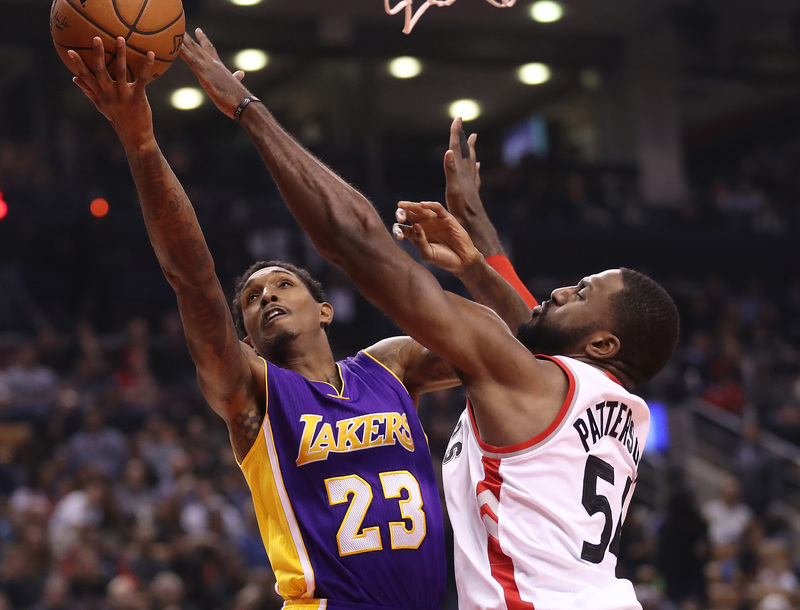 As shown in his season with the Raptors, Williams can excel when he is put in the right situation with the right players. After starting 35 games his first season in LA, Walton decided to put Lou back into his role as a sixth man and his numbers have gone up in almost every facet of the game. As with Young, Lou-Will would be a great scorer for the Mavericks and a serious threat from behind the arc. Williams has been one of the league’s top bench scorer and his league experience would prove very helpful for the young guards in Ferrell and Curry. I really expect Dallas to make some moves before that February 23rd deadline hits and I think the Mavericks will be able to land some notable players. I recommend that all the MFFLs out there keep their eyes out for something to happen in D-town as the Mavericks make a last effort to create the best team they can as the season moves closer and closer to the end.